This Beach Front Condo #204 has just been renovated and is stocked so well you won’t have to leave for anything once you check in! 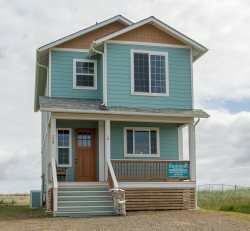 Located on the second floor with an ocean view. Sit back and listen to the ocean roar. 1 bedroom with queen bed, living area, full kitchen and full bath. Very close to downtown activities, restaurants, shops and grocery. NO smoking in rooms or on balconies. Dogs are okay with an additional fee. The entire team here is great! Prompt return on calls and any housekeeping requests. I stayed for three months and saw the housekeeping ladies several times a week and they always had a smile and a friendly hello! This little gem of a condo is the perfect beach retreat. They did a beautiful job with the remodel and perfectly captured the light airy feeling of a beach house in a lovely space. We were comfortable from the very get go, had nearly every kitchen item youd need besides groceries, and plenty of all the necessaries like towels and linens with extra spaces to tuck away your own things. My daughter and I stayed for three months and wont ever forget our time here at The Beach Place! Thank you!